Venetian Naso men's mask is made out of paper mache, hand painted with acrylic paints and decorated with faux gold detail. 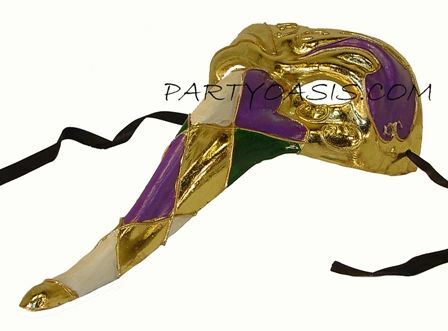 Easy to wear to any Masquerade party, Carnivale, or Mardi Gras themed event. Fits comfortable with attached ribbons.